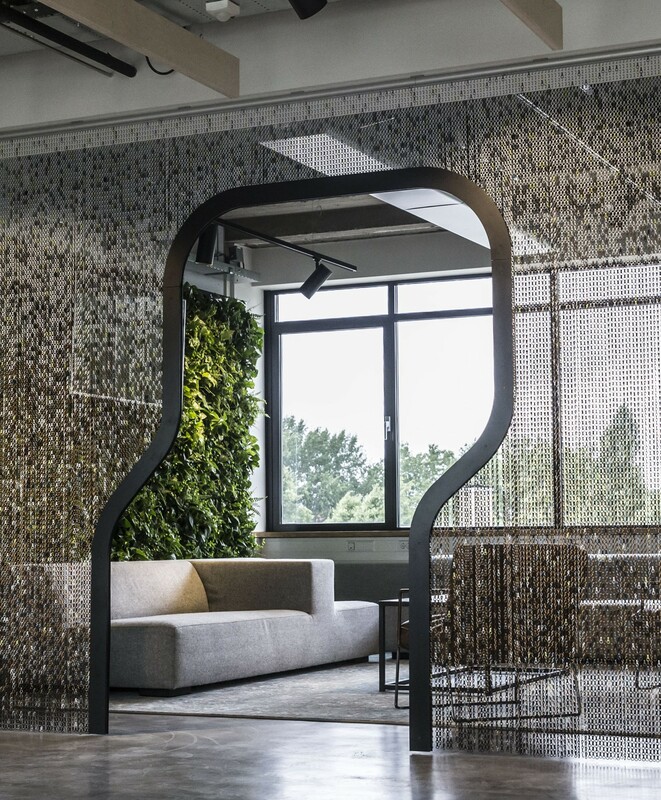 IPG Mediabrans, a group of global dynamic marketing agencies, needed a modern work environment in Amsterdam that would stimulate creation, innovation and cooperation. For this, Tétris Netherlands designed an industrial style environment where grey and brown tones stand out. One of the locations where employees can retire to rest is the one that includes Shape Frame, decorative perimeter frame that is placed when performing a chain emptying and that works as an entrance door. On this occasion Tétris used Earth pattern, which adds glamor and texture to the room. 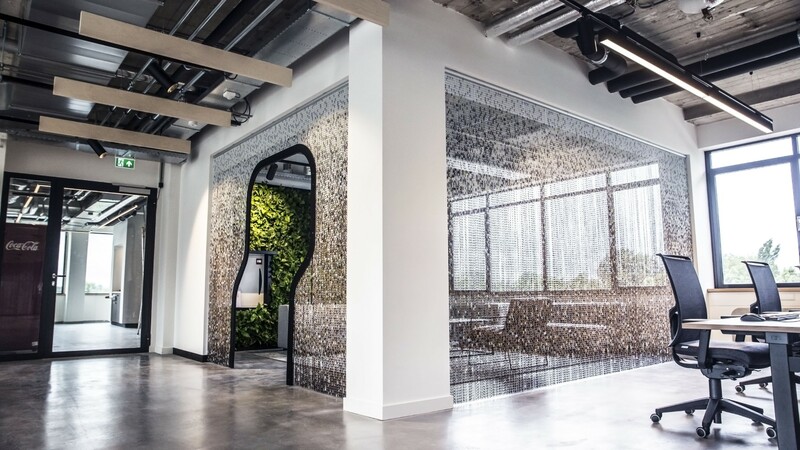 Given the transparency of the anodized aluminum chains, natural light is better used, creating a diaphanous space not interrupted by walls, combining perfectly with the idea of innovation that prevails in the business group.